CCI's construction and fabrication experience runs the gamut from the largest offshore structures in the world to typical vessels and heat exchangers. We have also inspected compressor stations, LNG and CNG facilities, subsea modules, refineries, power plants, tank farms and countless client-specific structures. At CCI, we can take on this range of projects because we have assembled an experienced team of technicians who combine industry expertise with ASME, API, PED, and AWS certifications. You can depend on them to deliver the highest standards of traceability and quality assurance even on the most complex projects while meeting demanding production schedules. CCI has extensive experience in examining offshore and land-based pipelines. We closely monitor industry trends so we can anticipate the needs of our pipeline customers. As hydraulic fracturing became more accepted and economically viable, we worked hand in hand with producers, transmission companies and constructors to build, repair, and improve the nation's pipeline infrastructure for natural gas and liquids. We have located our operations strategically, giving us the ability to provide on and offshore pipeline inspections throughout Central and Western North America. 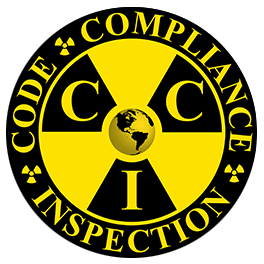 Each team member's certifications differ, making CCI one of the most comprehensive and diverse inspection companies throughout the United States. We utilize the correct pursuant based on code and customer specifications. Our experience and depth of knowledge in the industry also allow us to consult with you on the inspection and NDT options available on your next project. From construction through operation and maintenance, we provide a variety of inspection and data management services to ensure the integrity of your operating assets. From construction to operation and maintenance, we provide a variety of inspection and data management services to ensure the integrity of your operating assets. CCI provides an unrivaled spectrum of capabilities, including inspection, traditional and advanced NDT, NDE and conditioned based monitoring, failure analysis, materials and engineering and reliability. Our work is critical to the integrity and safety of industrial firms, including petroleum refinery, power generation and pulp and paper. CCI employs experienced professionals supporting the mechanical integrity and inspection programs of the US largest industrial segments.